Larry Otoo has appeared and participated in all stages of litigation at all levels of the Court Hierarchy in Ghana. He has also participated in conciliation and arbitration. His civil litigation practice is in the areas of commercial and corporate law. He has preparing numerous legal opinions for multinational companies in various foreign direct investment matters and has also preparing due diligence reports in respect of government divestiture and privatisation programmes. Larry Otoo has experience setting up mining concerns for exploration and exploitation of mineral resources in Ghana and has also been consulting for the Government of Ghana on the review of various laws and regulations. Since 1989 he has been actively involved in legal practice in Ghana. He has appeared and participated in all stages of litigation at all levels of the Court Hierarchy. He also participated in conciliation and arbitration. He is a Partner of Fugar & Company, which is one of the few law firms selected to act as consultants to the Divestiture Implementation Committee in the structuring and acceleration of the Government’s divestiture of State enterprises. He acted as Associate counsel to the Commonwealth Development Corporation and assisted in structuring a financial package for Tropical Glass Company Limited when it took over the Government’s divested interest in Abosso Glass Company Limited. He acted as Associate Counsel to the Commonwealth Development Corporation in structuring and developing financial and security instruments for the Volta River Authority towards the construction of the Aboadze Thermal Plant near Takoradi. He also acted as Associate Counsel to El Paso Energy Inc in its joint venture with the Ghana National Petroleum Corporation to develop Tano offshore gas fields for the utilization of Independent Power Project. 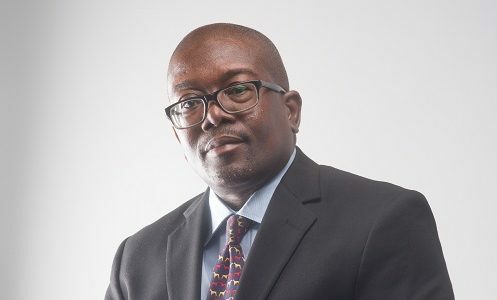 He also acted as Junior Counsel on Ghanaian law when Pioneer Goldfields Holdings Inc. of the United States of America floated twenty percent (20%) of its shareholding in Pioneer Goldfields Limited on the London and Ghana Stock Exchanges. Pioneer Goldfields Limited owned the erstwhile Teberebie Goldfields Limited located at Tarkwa in Ghana which was the second largest mine in Africa outside South Africa. He also advised Voscon Associates on the divestiture of Pwalugu Tomato Cannery and was involved in the preparation of all the requisite legal documents including the Sale and Purchase Agreement. He was on Fugar & Company’s legal team which advised Merchant Bank Ghana Limited on the divestiture of State Construction Company (SCC). The scope of work involved the preparation of an Information and Selling Memorandum on SCC. He was on Fugar & Company’s team that advised CAL Merchant Bank on the divestiture of Glicksten West Africa Limited and was involved in the production of an information memorandum pertaining to the sale of the latter. He was also on Fugar & Company’s legal team which advised ARA Canada on the divestiture of Omnibus Services Authority and City Express Services Limited. He has recently advised N M Rothschild and Sons Limited which is an international bank, in the lending of project finance to Ashanti Goldfields Company Limited to develop their Bibiani Mine and Goldfields of South Africa Limited for the expansion of their Tarkwa mine. He was part of Fugar & Company’s legal team which advised a strategic investor on the potential acquisition of the Ghana Government’s 40% stake in Ghana Commercial Bank. This involved the preparation of a comprehensive due diligence report on the corporate structure, operations and activities of the said Bank throughout Ghana. He advised Celltel Limited in the recent acquisition of a majority shareholding in it by Hutchison Telecom Limited. Has acted as a member of the team of lawyers consisting of the English law firm of Nabarro Nathanson and Fugar & Company to provide consulting services for the Ghanaian Ministry of Justice on a Study of Administrative Law Procedures, Arbitration and other Alternative Dispute Settlements Mechanisms. This project involved the collation and review of all Ghanaian Administrative Laws and the redrafting of new laws and regulations to replace same. It also involved the review of Parliament’s legislative functions, the powers of the Commission on Human Rights and Administrative Justice and the activities of local government authorities and quasi-judicial institutions. The purpose of the study was to ensure that institutions which exercise powers delegated to them by government exercise those powers within the limits of the Constitution and within the limits of the relevant legislation. Advised the HSBC Bank PLC on Project Finance for the Expansion of the Kotoka International Airport runway. He advised Marubeni Corporation in its acquisition of Ghamot Company Limited now known as Toyota Ghana Limited. He recently participated in a Conference with the theme Interconnecting Africa which dealt with the development of Oil and Gas Prospects in Africa. He also recently participated in a Conference organised by the Energy and Resources Law section of the International Bar Association which dealt with various areas concerning Energy production and Oil and Gas development. He was a member of Fugar & Company’s team which advised Siebe Limited, a British Company on the divestiture of its interest in Holman Brothers Ghana Limited. He was a key member of Fugar & Company’s team which recently undertook a legal due diligence on TV3 Network Limited. He worked in conjunction with ARA Consulting of Canada for the Government of Ghana on the Ghana Fiscal Decentralisation Project sponsored by the Canadian International Development Agency (CIDA) whose main purpose was to review all legislation in Ghana which impinged on the fiscal decentralisation regime in Ghana. He has recently advised FMO Bank Nederland in securing finance for two local banks namely The Trust Bank and Guaranty Trust Bank. He advised Portugal Telecom in 2008 when it made a bid for 66.75% of Ghana Telecom the nation’s largest network operator. He has lately advised the China Bank for Development (CBD) in procuring for the construction of a 220 megawatt thermal plant in Ghana. He is presently advising BP Legal on the BP’s downstream activities in Ghana. He is also advising Anadarko on its upstream activities in what is known as the Jubilee Field in the West Cape Three Points. He also recently advised the Hilton Group on the establishment of a Hilton Hotel in Ghana. Undertaking civil litigation particularly in the areas of commercial and corporate law. Preparing legal opinions for multinational companies of various foreign investment matters. Preparing due diligence reports in respect of government divestiture and privatisation programme. Setting up of mining concerns for the purpose of exploration and exploitation of mineral resources in Ghana. Consulting for the Government of Ghana on the review of various laws and regulations.